A “kiosk” device is a computer or tablet that’s restricted to a single specific app. For small business owners, an iPad can be a great cost-effective solution to take advantage of kiosk devices. If you want to get creative, you can use these same methods on an iPod Touch or iPhone for smaller kiosk devices placed around the store. But what’s the best option? What’s best for you will be relative to your needs and the effort you want to put into setting the device up. Single App Mode means exactly what it’s called as it completely locks your iPad to a single app. However, this method is a more advanced feature that may not be for everyone. To enable Single Apps Mode, you’ll have to use Apple Configurator or a mobile device management server to set this up. Further, it can only be disabled by using the same tool. But there’s a catch as you will need to access your Mac to enable Single App Mode via the Apple Configurator. If this is not possible, you’re in luck as Guided Access is a quick easy way to get around this hurdle. However, it won’t be a perfect solution like Single App Mode. With Guided Access Mode, customers can attempt to guess your PIN number to use other apps or to even reset the device. So there won’t be a concrete way to keep the device secure as someone can always try to guess your PIN. It’s also important to consider the fact that someone can hold down the Sleep/Wake and Home button together at the same time and reboot your iPad to the PIN screen. This won’t happen in Single App Mode as it will return to the same configured app in Single App Mode. If you have kids, you might already be familiar with Guided Access as it’s also often considered to be a parental control feature (but it’s actually intended for schools and categorized as a Learning feature). To start setting your iPad to a Single App Mode, you have to first put your iPad into Supervised Mode (and this will require a bit of work to set up). However, it’s worth the effort as you can also remotely enable Single App Mode remotely through a mobile device management (MDM) server (that’s if your business is already using one to manage mobile devices). For a temporary iPad kiosk, it’s not worth the effort and you can just ignore it. 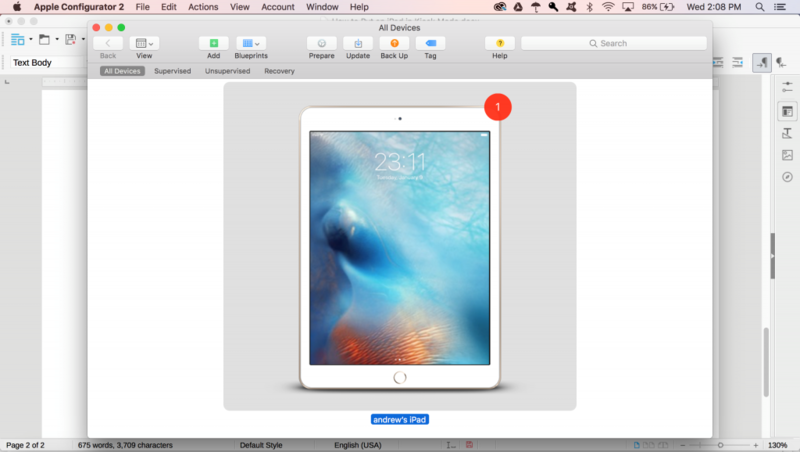 For this post, we will focus on setting up the iPad without an MDM. 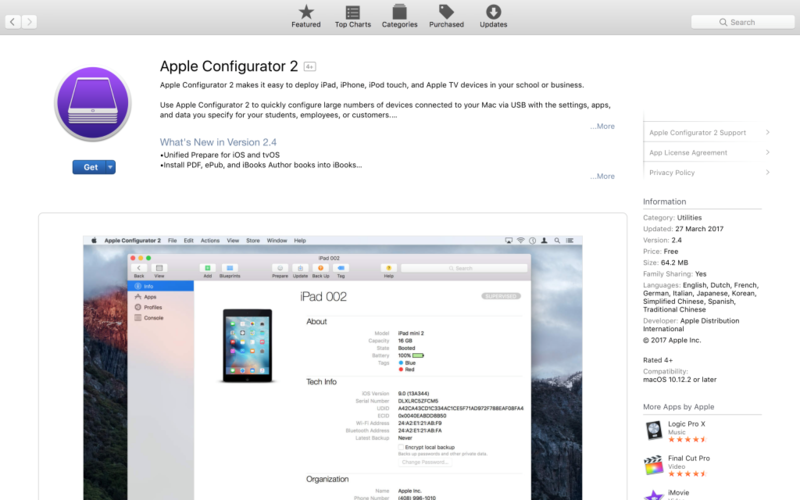 So first, go to iTunes and download (and install) Apple Configurator. If you are working on a PC, scrap the idea as Apple Configurator will only work on Macs. Once the Apple Configurator is installed, you can use it to place your iPad into Supervised Mode. Then you can use the Apple Configurator to enable Single App Mode. 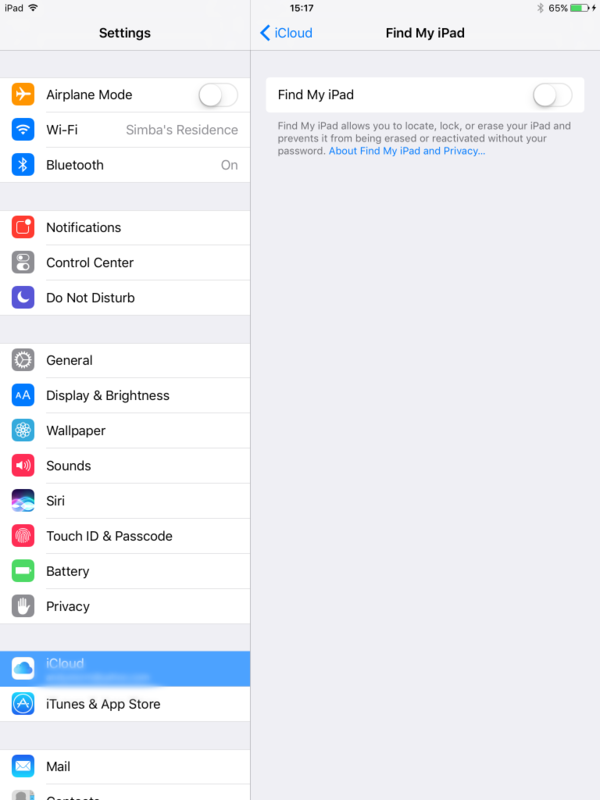 First click on Settings, then iCloud, and turn off the Find My iPad button. This will disable the Activation Lock that will prevent Apple Configurator from setting up your iPad. You will need to have your iCloud password ready to complete this task. To set up your iPad in Supervised Mode, first, connect the device via a USB cable to your Mac. 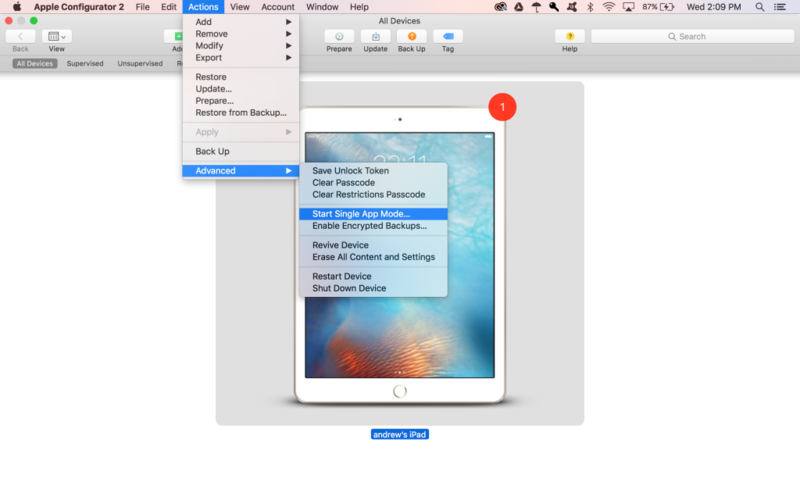 Once your device is recognized, open Apple Configurator and select Supervised Mode. 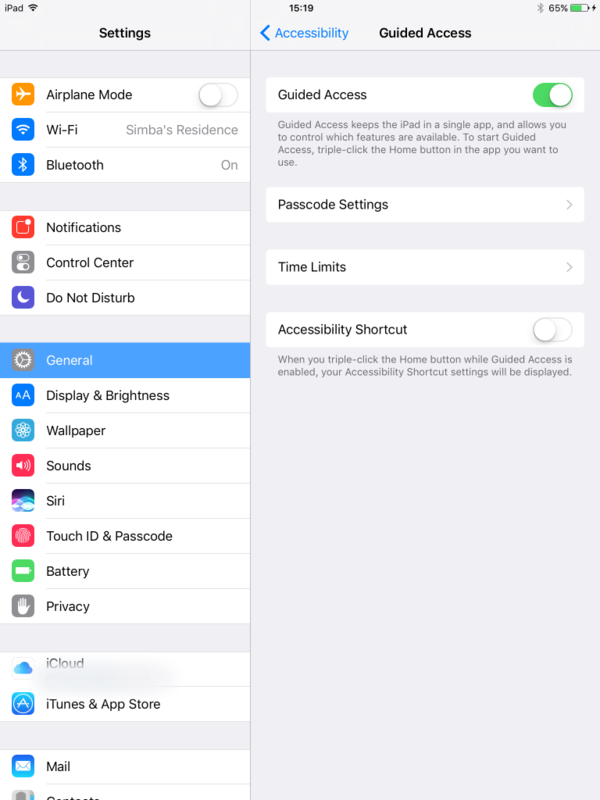 Guided Access can be set up by accessing Settings on your iPad. Next click on General, then Accessibility, and Guided Access. This will enable the Guided Access mode. Next click on Password Settings to set up your PIN code for guided access and select if you can or can’t exit from Guided Access with a Touch ID (that is if your device has a Touch ID sensor). Next, you can select the app you like you would like to lock on your iPad. Once you have done that, quickly click on the Home button three times. This will generate the Guided Access screen on your iPad. You can use the buttons to configure it to suit your needs. The Sleep/Wake button will be automatically disabled when the touch screen is enabled (but you can always disable the touch screen and allow people to use the Sleep/Wake button instead). At the top right corner, you will find the Start button which you can tap whenever you’re ready. When you’re in Guided Access Mode, the iPad screen won’t turn off, so you will have to plug it into a power source if you intend to keep it on throughout the day. However, on the Guided Access screen, you can enable the Sleep/Wake button to allow the device to turn off the screen. When you do this, anyone who wants access can quickly get it by turning on the device which will take them straight to the Guided Access mode without any need to enter a PIN number. Whether it’s Single App Mode or Guided Access Mode, all these settings can be undone. But for Single Access Mode, you will have to undo it by accessing the Apple Configurator on your Mac.